Taka Taka Tanka malayalam movie to be directed by debutante Mohammed Rafi will feature Maqbool Salmaan and Marina Michel Kurishingal in lead. The movie which comes with an unusual title refers to something that plays a vital role in everyone's life. Indrans and Kalabhavan Mani would give life to other prominent roles in the movie. Set in the back drop of Kochi and Nagercoil, the movie will start rolling by the end of this month. Even though his kitty is full, young hero Maqbool Salmaan is on a signing spree. Not having a single release in 2013, the actor has stored his energy to have back to back releases this year. Now, yet another movie with Maqbool Salmaan has been announced. 'Taka Taka Tanka' may be a wacky title, but it is Maqbool Salmaan's next which is to be directed by debutante Mohammed Rafi. This bizarre title refers to something that plays a 'vital role in everyone's life'. Marina Michel Kurishingal will be the lead heroine while Indrans and Kalabhavan Mani would give life to other prominent roles in the movie. Set in the back drop of Kochi and Nagercoil, the movie will start rolling by the end of this month. 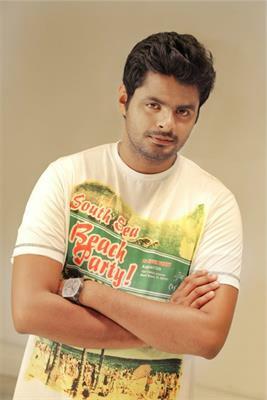 Maqbool Salmaan, the nephew of megastar Mammotty who made his debut with Asuravithu shot to fame with Aneesh Upasana's Matinee donning the role of Najeeb. 'Parayan Baaki Vechathu', 'Hangover' and 'Day Night Game' were the movies which reached theatres with Maqbool in lead. The movies could not make waves in the box office, but the actor got well appreciation for his character roles. His upcoming projects include Prasanth Mambully's 'Love Story', Sujith S Nair's 'Oru Korean Padam', Kapil Chazhur's 'Kerala Today', Dooram'. Left Turn' and 'Njanara Mon' directed by Thufail Ponnani. As Maqbool is able to keep the trust put upon him by the directors, the coming days are for the young actor which has shown his mettle in his first appearance itself. Marina who had acted in Dulquer Salmaan's upcoming movie 'Samsaaram Aarogyathinu Haanikaram' and couple of videos would play the female lead. Marina who is much active in model is looking forward to create her own space in the industry. With the malayalam film world giving ample opportunities for young talents, it is expected that Marina who holds much potential would use the time immaculately.